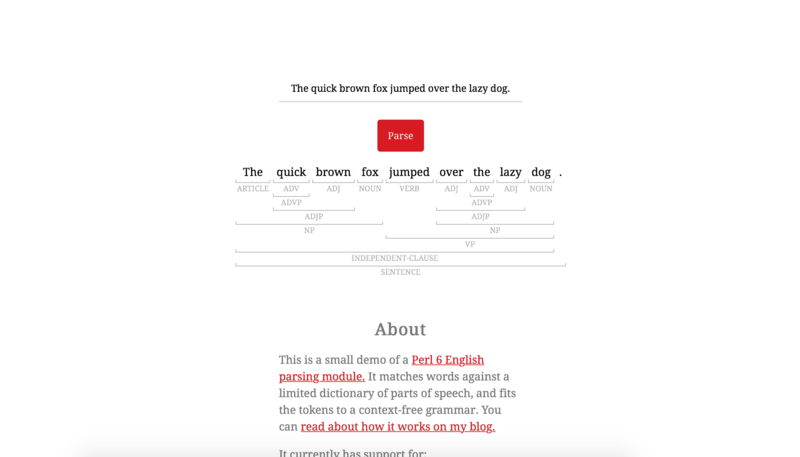 This is a small demo of a Perl 6 English parsing module I wrote. It matches words against a limited dictionary of parts of speech, and fits the tokens to a context-free grammar. You can read about how it works on my blog.